My name is Duarte Teixeira also know as Harkonnen. I’m Portuguese but I’ve lived in the United Kingdom since 2011. Started playing World of Tanks back in September 2010, during Closed Beta, don’t actually remember how I got invited, but I do remember I didn’t like the game at first. After a couple of weeks, I’ve decided to try it again and never stopped playing ever since. 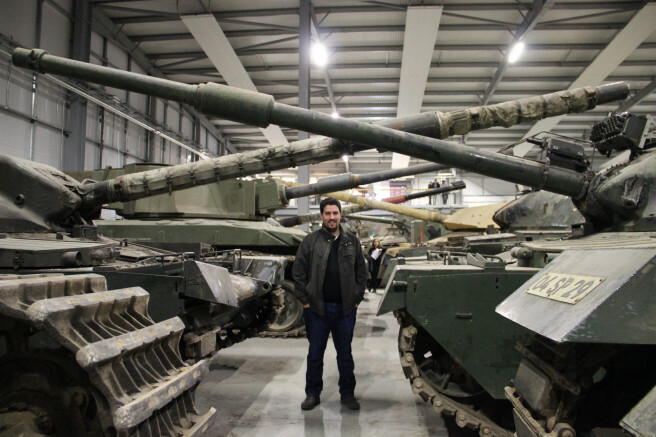 I’m crazy about tanks and love history, especially World War II. My wife thinks I’m a bit crazy but she goes with me everywhere I want to visit and she is now very proud to say she went over 10 times to the Bovington Tank Museum because of me… I went over 20 times now, yeah I know, but I have to use and abuse that annual ticket, any excuse is fine with me just to go down there see what I have seen loads of times. I’ve decided to start the blog because I wanted to write a bit more about World of Tanks and because I wanted to help out the Community but never imagined it would get to where I am at the moment. Wargaming invited me to WG Fest 2016 back in December 2016 and I’ve proudly become an Official Community Contributor. Have no fear, Harkonnen is here.